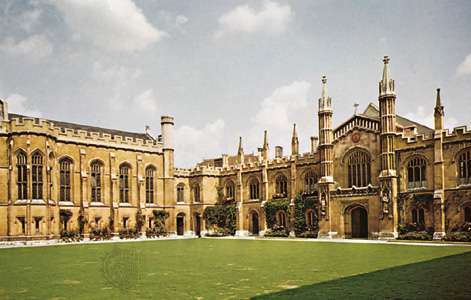 University of Cambridge, UK is offering lecturer position in oncology. The initial contract for this position is 5 years and posible to extend. Potential candidates should apply before October 07, 2018. The University of Cambridge, School of Clinical Medicine invites applications for an unestablished post at the level of University Lecturer (Honorary Consultant) in Neuro-Oncology. The University Lectureship will be assigned to the University Department of Clinical Neurosciences and will include an honorary contract with Cambridge University NHS Foundation Trust. Candidates will have an outstanding research record of international stature in clinical neuroscience with an emphasis on surgical neuro-oncology and the vision, leadership, experience and enthusiasm to build on current strengths in maintaining and developing a leading research presence. They will hold a medical qualification and a PhD or equivalent postgraduate higher qualification. Standard professorial duties include teaching and research, contribution to clinical service delivery, examining, supervision and administration. The University Lecturer will be based on the Addenbrooke’s Hospital site. This appointment requires an Honorary Clinical Contract and is fixed term for 5 years. Please ensure that you upload a covering letter, CV, list of publications, current and future research plans (two sides of A4 only) in the Upload section of the online application. If you upload any additional documents which have not been requested, we will not be able to consider these as part of your application. Queries should be directed to Professor Peter Hutchinson pjah2@cam.ac.uk in the first instance.